Are you ready to finally launch your digital product? Whether it’s an eBook, online course, membership site, software, or something else entirely, HOW and WHEN you launch your product is key to success! 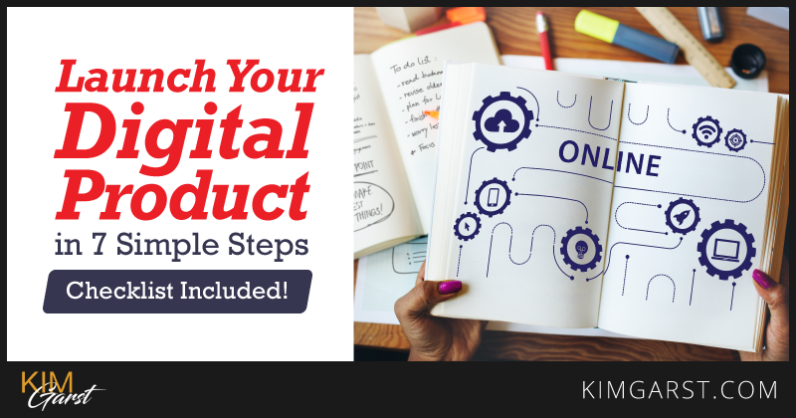 In this post, I’m going to walk through a simple 7-step process for launching your digital product to your target audience. So, whether your product is ready to go or you’re simply planning ahead to make your launch as successful as possible, keep reading! This stage involves everything you do in the weeks (and even months) leading up to your product launch. Some business owners assume that the process of launching begins on the day you actually start selling your product…but more often than not, this strategy is a recipe for failure. 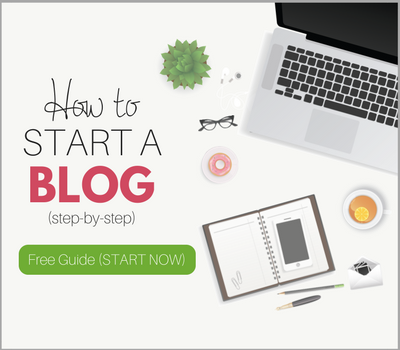 Below, I’ll outline exactly what you need to do in the month or so leading up to your launch. Whether your product is ready to go or not, this is the time to begin preparing your audience for what’s coming! 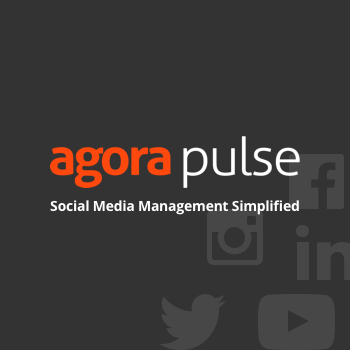 If you haven’t already been communicating regularly with your audience on social media and through email, NOW is the time to start! The last thing you want to do is be one of “those people” who only posts or emails when they want something. Not only is this unlikely to result in sales, but it will probably annoy and alienate your audience! To avoid this, start now by committing to regular communication with your audience. Post valuable content, preferably that’s related to the topic of your digital product. At a minimum, I’d suggest emailing your subscribers once per week, and posting on social media 3x per week. This way, when you do post about your product launch, your audience will be used to hearing from you, you’ll have built up trust, and they’ll be primed and eager to learn about your product! In the weeks or months leading up to your launch, recruit some people to test out your product. In exchange for free or deeply-discounted access, ask for feedback and suggestions. If you don’t yet have your full product done, consider creating an MVP – minimum viable product. This is a shortened, condensed version of your product you can use to test out whether people actually want what you’re offering…BEFORE you create the whole thing! Not only will this help you tweak your product to make it even MORE amazing, but it will allow you to gather up some “social proof” you can use for your product launch. Getting glowing testimonials – especially video testimonials – can go a long way to generating excitement about your product, and reducing the risk people will feel in buying it! Basically, you want to hint that your product is coming in order to start generating a buzz among your target audience. 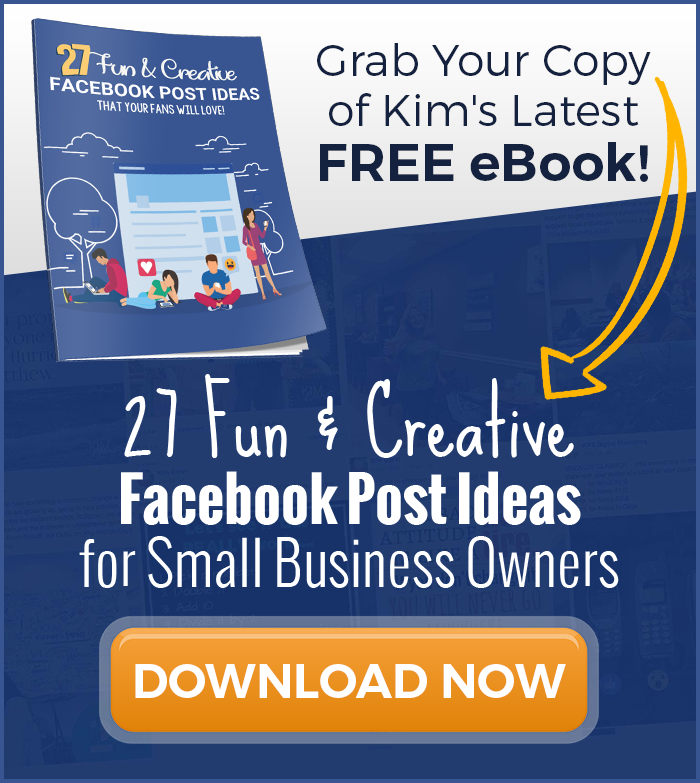 *If you only use one strategy on this list, it should be this one! All of these strategies are fairly easy to implement, and are great for setting the stage for your launch! Want to generate a buzz about your product AND get sales before you even launch?? Consider getting pre-orders! Here’s how this works: Set up a sales page for your digital product, complete with a “Pre-order now” button. Let visitors know that they’ll receive a special deal if they pre-purchase your course/eBook/software, etc. Now promote the check out of your pre-order page! This is a great way not only to set the stage for your official launch but also to see if people are ACTUALLY willing to pay for your product! Hopefully, by this stage, your audience not only knows about your impending launch but is primed and ready to buy! But even if they’re not…don’t worry, all is not lost. The following strategies will make sure your target audience knows what you’re offering, and why they should buy it! Technically, this could also be considered a “pre-launch strategy”, as you’ll use it both in the days leading up to your launch and on the actual day of your launch. Email 1: 7 days before your launch. Let your audience know about your product. Don’t overwhelm them with info, but make sure you do include the following: HOW your product solves their biggest problem, WHEN your product will be available for sale, and WHAT they’ll receive if they decide to buy it. Email 2: 5 days before your launch. In this email, give your subscribers more specific details about your product. Include personal stories (your own or other’s) about why your product is so useful, and show how it’s already helped others. Use those testimonials you got during the pre-launch stage! Email 3: 3 days before your launch. Think of some questions people may have about your product: these can be questions people have actually asked or questions you think they might ask! Use this as an opportunity to address doubts or concerns people may have: like “This product is too expensive”, “It won’t work for me”, or, “What if I change my mind after I buy it?”. Email 4: 2 days before your launch. Offer a launch discount. Let your subscribers know they have x days to buy in order to get a special deal or bonuses. Email 5: The day of your launch. Briefly remind people why they should buy your product (remember to address their pain points! ), and that your special pre-launch offer will be expiring soon. Remember, this is just one example of a launch email sequence you can use. Feel free to make it your own! This strategy can be used on its own or in conjunction with a launch email sequence. Time and time again, live video has been shown to be one of the BEST ways to promote a digital product. 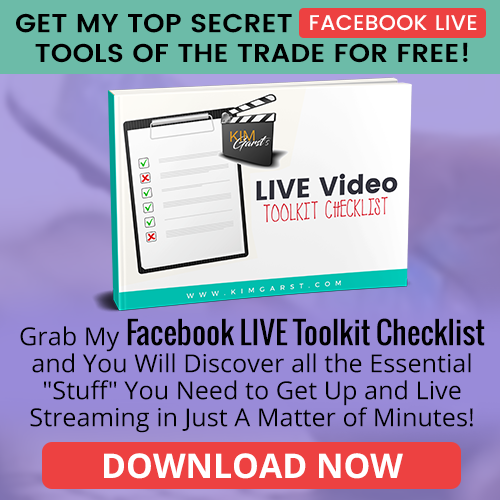 Hold a free webinar or live Q&A (on Facebook, Instagram, etc.) on a topic that’s closely related to your product. Promote it to your email list, to your website visitors and to your social media fans and followers. At the end of your video, let participants know that you have another product they may find helpful, and tell them exactly how they can get their hands on it. I also recommend giving them a special, time-limited coupon code to get an exclusive discount on your product. 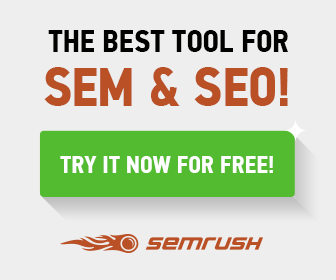 This is a great way to boost sales AND to track where sales are coming from! Whether you’ve decided to do an evergreen launch – meaning your product will be available on an ongoing basis, or an open/close launch – meaning your product will only be available at certain times of the year, you’re definitely going to want to think about what worked, and what didn’t. How were my conversion rates from my waitlist? If they were very low, you may need to re-evaluate your launch process or your sales page. How were my sales overall? If they were lower than you expected, at what stage did things fall apart? Did you get a lot of pre-orders, but not many sales at your launch? Then you may need to tweak your email sequence or other marketing strategies. How much traffic did I get to my sales page? If this number was lower than expected, your promotional strategies may need some tweaking. What did my testers or reviewers have to say about my product? Hopefully, you took their advice into account earlier in the process, but if not, now’s the time to take it seriously! You’ll also want to survey your audience to see what you can do better next time. One of the best ways to do this is to send out a simple survey to those who were on your waitlist, but who didn’t buy. Was price a factor in your decision not to buy this product? What questions did you have about the product that I didn’t answer in my emails? How likely are you to buy this product the next time it’s offered? (if you’re doing an open/close launch). And that’s it! A simple, 7-step process for launching your digital product. This process will take you through the month before your launch to the week after, ensuring you know exactly what to do, each step of the way! Want a checklist you can download to make sure you’re not forgetting anything? I’ve got you covered! Get Your 7 Simple Step Checklist! Are you ready to launch your digital product? Tell us about it in the comments below! We provide high-quality Instagram followers that come to play for increasing your business popularity. We never sacrifice Instagram followers the services we provide. In short, providing high-quality Instagram followers are our primary goal. Thank You So Much for Sharing this Blog Such a Nice Information in this Blog. Thank You So Much for Sharing this Information with Great Us. Hey, nowadays it is very important to expand your business digitally. If your business is not on the digital platform it is waste. Hello, after a long time, I have read such an amazing article. Glad that I came across this blog and got learn so many things on how can I launch my digital product. Thank you for such an amazing article. Its great article related to digital product and best to know about detailed information of digital product . Thanks a bundle for sharing this informative information. Hi, Your Article is very informative thanks for sharing , Keep it up. Hello Friend! launching a digital product is a great way to make money online. I really liked to read this article. Thanks for Your Sharing! Hey Kim. Its great article related to digital product and best to know about detailed information of the digital product. Thanks a bundle for sharing this informative information.